The simple recipe I want to share with you today is a family favorite. I usually make it on Christmas Eve, to the great delight of T and my brother-in-law. 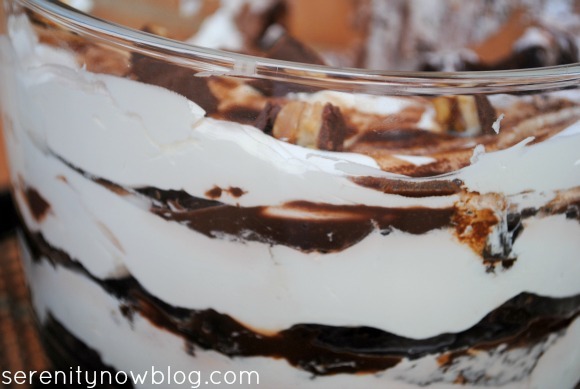 It's a fabulous recipe to use during Christmastime because it's so easy to throw together. You can make it the day or night before, and forget about it until it's time to serve. 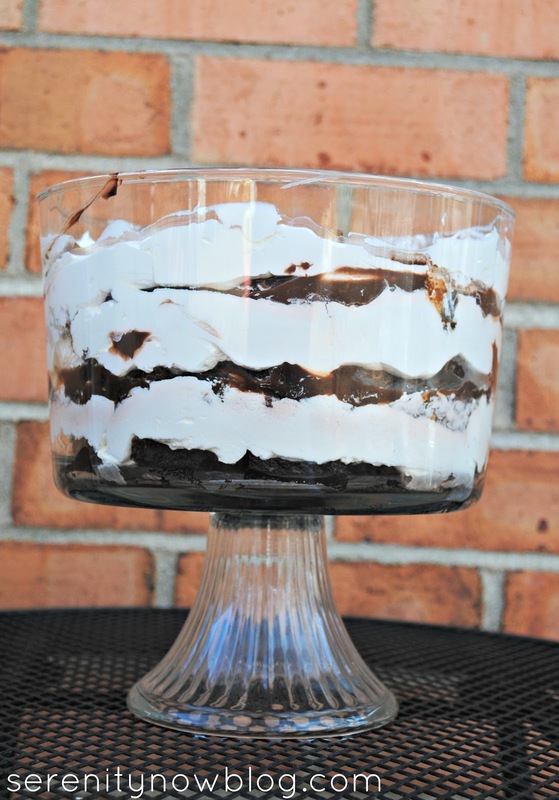 Hope you enjoy this Chocolate Brownie Trifle! Stress-free ideas like this are part of my current Christmas series. 1. Make the chocolate pudding and brownies according to the package directions. Place pudding in fridge to cool and set brownies aside to cool. 2. To begin the trifle, cut some cooled brownie squares and place a layer in the bottom of your trifle bowl. 3. Add a layer of Cool Whip. Smooth down. 4. (Optional) Add some drizzle of chocolate, peanut butter, and caramel. 5. Add a layer of pudding on top of the cool Whip. 6. Put another layer of brownies in and repeat the process. You want the last layer to be Cool Whip. 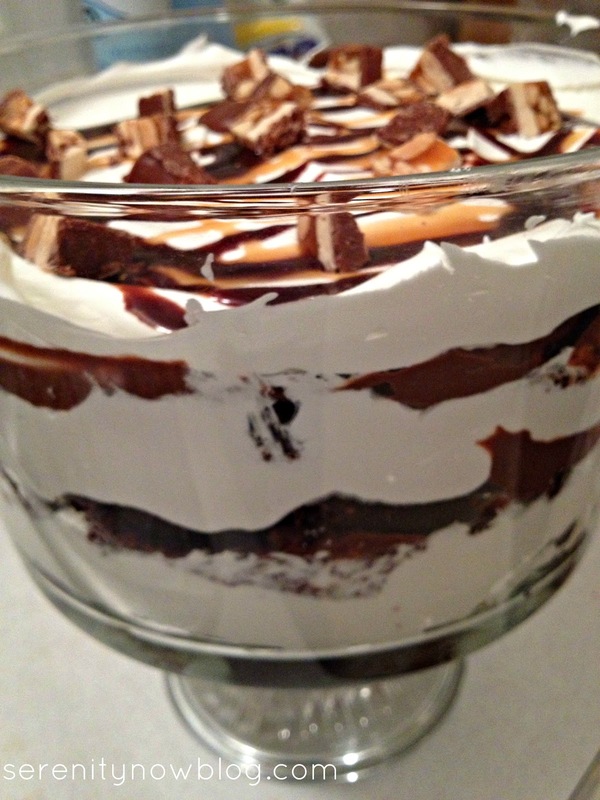 I usually add some more drizzle to the very top and the chop up some candy bar slices as "garnish." Cover and refrigerate overnight. Serve cold! 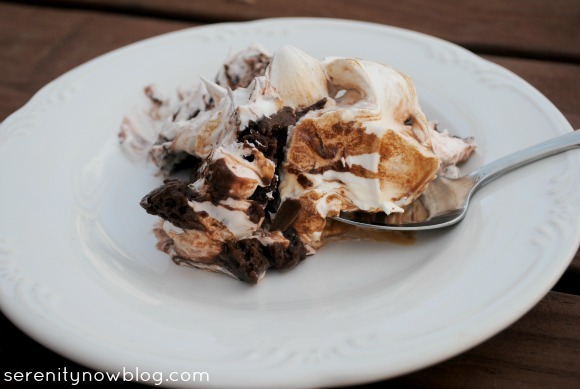 This is such a tasty, easy dessert, and it's a real crowd pleaser! It's so rich that I seldom make it more than once a year, but everyone loves it. What's your family's favorite holiday dessert? 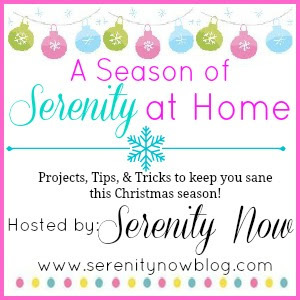 *This post is part of my current Christmas inspiration series, A Season of Serenity at Home. I have some fantastic posts with projects, recipes, activities, and ideas that will bring some creativity to your Christmas without the stress! 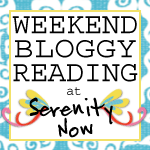 You'll find all the posts to date rounded up here. Uh hello yumalicious dessert! I can see why it's a favorite! Right now my family always ask me to make Paula Dean's banana pudding. It's crazy good. But their request changes up. I more of a pumpkin bread type gal. I make it every year but it's really just for me as everyone else goes for all the pies and other yummy treats. oooh that looks super delicious! and maybe simple enough for even me to try out - yum!! Yum! That sounds so good. I need dessert recipes like this one--it looks beautiful and yet it sounds very easy! I know this would be a hit at any gathering. I'd like to have a big bowl right now! 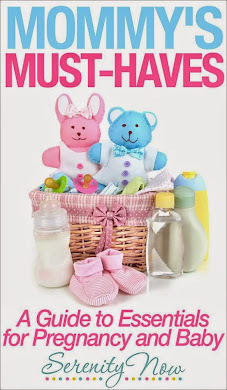 We have a version of this that is similar and such a favorite!! Yours looks delish! Now that I see it close up, it doesn't look like bacon at all ;) it just looks all kinds of yummy! This looks amazing Amanda! 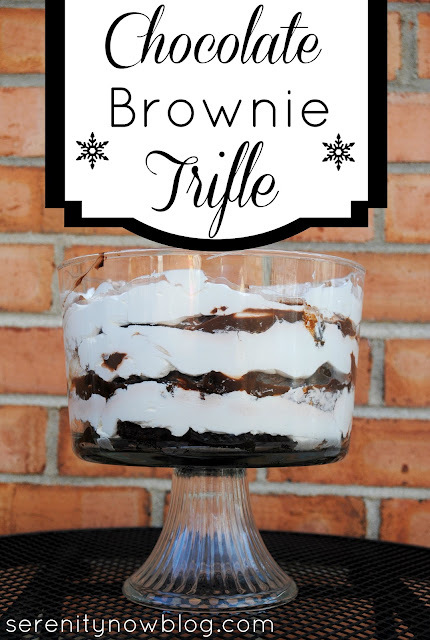 I love trifles - they're so simple but yummy! !